BELLAIRE, Texas – (By Michelle Leigh Smith for Realty News Report) – Redeveloping one of the oldest shopping centers in the Houston area means losing some familiar tenants and getting new ones. Bellaire Town Center, owned by the Shears family’s SDI Realty, has stood at the corner of Bellaire and S. Rice for almost seven decades. The centrally located shopping and office center opened in 1950 and design and construction was handled by the William G. Farrington Company. The center is being expanded from 39,000 SF to 71,000 SF. The Edge marketing materials for the 70,880 SF Bellaire Town Center list the median income at $140,879, and average household income at $199,693 within a 1-mile radius. The ground level rate is $46 PSF, with a $30 PSF rate for the second level and a triple net rate of $11.51 PSF. “I think the redevelopment will have a very positive impact on the City of Bellaire, and I believe it will spur other redevelopment to happen too!” says Bellaire City Councilmember Trisha Pollard. At the Bellaire project, two existing restaurants tenants, Lemongrass and Costa Brava Bistro, are relocating to new space in the Bellaire Town Center. Kitty Bailey at Costa Brava Bistro says the restaurant’s new space is being handled by the Boucher Design Group. Fah Vorarittapa, owner of Lemongrass, plans an April debut. “We are in the final stages of signing with the general contractor,” she says. Lemongrass, at 5109 Bellaire, will relocate to 2,500 SF in what Shears has designated as “Building A” in the newly developed space. Similarly, Costa Brava Bistro opted to also move west, into 2,846 SF in Building A. Dream Dinners has signed on for 1,500 SF between the two longtime Bellaire restaurants. There are four spaces in Building B, with two at 2,500 SF and one at 2,822 SF noted as “under negotiation,” and the largest of the four, at 5,610 SF, listed as available and divisible. Building C, where Auntie Pasto’s was located for more than 28 years entails a 4,285 SF space at the front, a nail salon in the middle with 3,001 SF and 2,501 SF available at the rear. A parking garage with 223 spaces, 97 of which are on the first level, is planned for the rest of the south side of the property. Building B and C are listed with a July 2019 delivery. A newcomer to the center is a Club Pilates studio. Some long-time tenants have relocated to nearby retail centers. 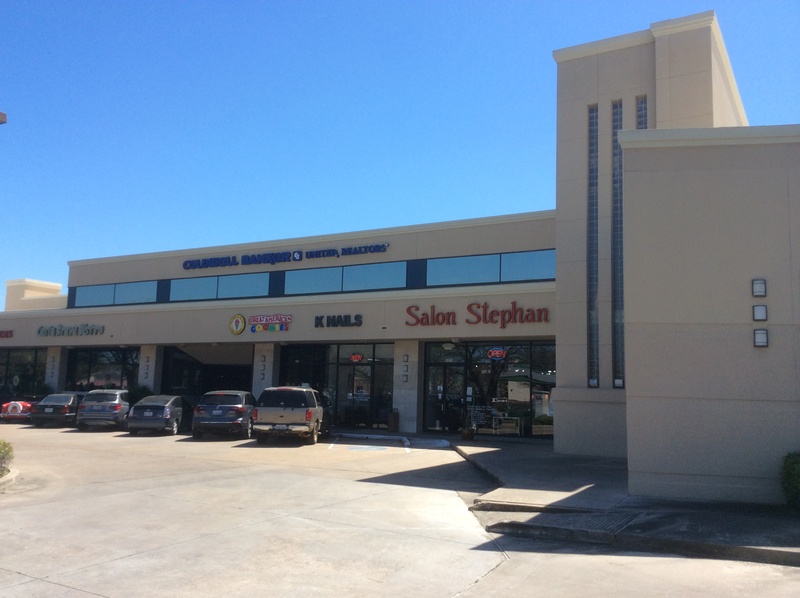 Marble Slab, Salon Stephan and KNails all moved to property on centrally located at 5200 Bissonnet, owned by Sion and Michael Saghian. KNails moved out in July. Maddie Tunchez, who works behind the bar, says she likes the new Auntie Pasto’s location much better. “There is plenty of parking for our customers and it’s nice to start fresh,” says the brunette, who manages to go orders and couples who fill the bar stools with equal aplomb. What was unnecessarily difficult on the loyal Auntie Pasto’s clientele was the inconvenience created by the redevelopment team when they started work in the parking lot, reducing customer parking to a minimum. Residents on Linden threatened to call tow trucks on the customers who parked on the street. Night manager Paul Hill says they are working on new specials and other menu additions. In the move, the portrait of Sophia Loren was damaged, but she’ll grace the walls again before Valentine’s Day. A site plan was submitted to Bellaire’s Development Services department by SDI Realty in March of 2017, requesting approval for redevelopment of Bellaire Town Center. SDI is a commercial real estate firm that leases the restaurants, office and retail spots in Bellaire Town Center where Bellairians celebrate rites of passage. Anniversary dinners at Auntie Pasto’s, dinner after a Condit Elementary choir performance and weekly dinner gatherings at Lemongrass have long underpinned the family fabric of Bellaire. This is not the first time Shears made a run at redevelopment on the property. A project like this would involve permit review, relocation of parking, construction schedule, none of which now departed Planning Development czar John McDonald was willing to discuss.